MUMBAI: Queen of Hindi soaps, Ekta Kapoor’s Kumkum Bhagya is a hit with viewers. What is it about Kumkum Bhagya that makes it more successful than the rest of the shows? Is it the chemistry of the lead pair, Sriti Jha and Shabir Ahluwalia, or the incomplete love story of Pragya and Abhi? 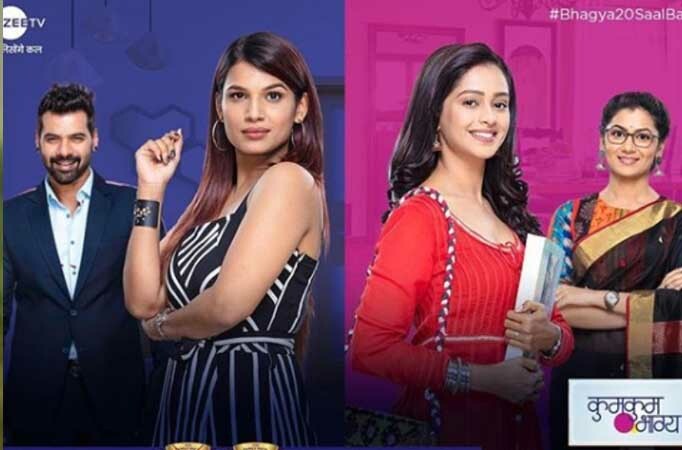 The serial has completed five years today and is still going strong and faring well on the rating charts.The show recently took a leap of 20 years, and loyal viewers are still hooked to it.In these five years, many actors have been replaced, while others have bid adieu to the show, but what has remained constant is the love of fans towards the show.The credit goes to the entire hard-working team, especially the lead couple played by Shabbir Ahluwalia and Sriti Jha. In these five years, the makers have beautifully shown the journey of Abhi and Pragya, who are now playing parents of grown-up kids.On this special occasion, Shabbir and Sriti shared a beautiful post on completing 5 successful years and thanked Ekta Kapoor for such a great show. Take a look!